Joss Whedon resurrecting one of the many nice people he's killed for S.H.I.E.L.D. Joss Whedon takes a certain, sick pleasure in killing the people you love, for the purposes of "drama" and making a salty stew of your tears, so his decision to resurrect someone is an act of unexpected, yet probably shifty benevolence. In what could be considered a spoiler for anyone who hasn't seen The Avengers, yet is interested in reading about this TV show for some reason, Whedon's S.H.I.E.L.D. 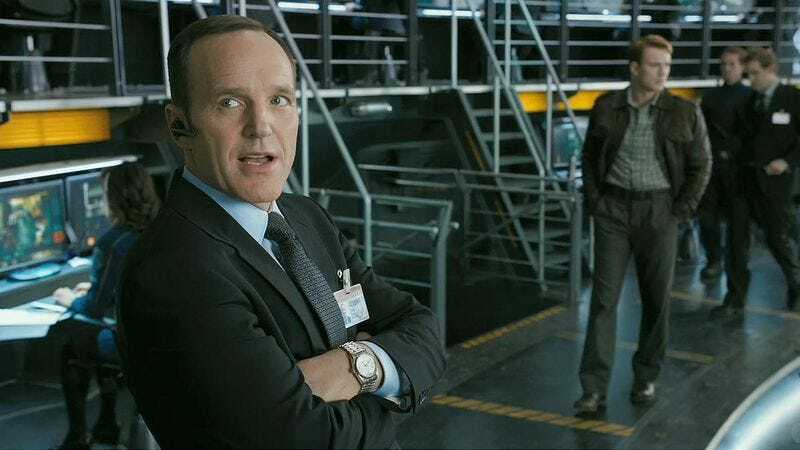 pilot has cast Clark Gregg—better known as Agent Phil Coulson, the friendly corpse who inspires the fragmented superhero team to work together after Samuel L. Jackson smears his blood around and is all like, "Hey, whatever you guys wanna do…" Gregg is set to reprise the role, though it's not clear yet whether Whedon plans to, in typical Joss Whedon fashion, bring Coulson back as some sort of demon, whose familiar form is now nothing but a cruel mockery. It's also possible Whedon is reviving Coulson with the intention of killing him every couple of episodes, whenever morale dips.